This Wednesday I’ll be talking along with Joel Gill at the Cambridge Public Library at 6:30. We’re going to be discussing our paths to comics as well as a bit about process like this little bit of strike out research I did for All Star. You should come join us. 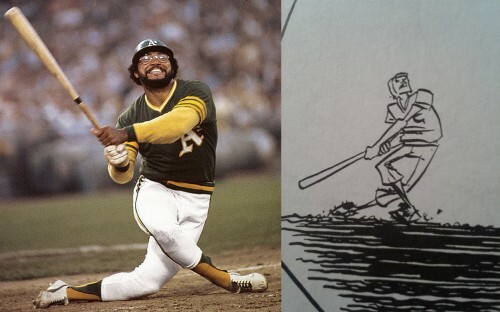 Nobody struck out better than Reggie Jackson. Look at those feet! He’s got himself so twisted up, just imagine how far that ball would have gone if he had hit it.